Your body declines rapidly when sitting for prolonged periods of time. It is not how many hours of sitting that is bad for you – BUT how many times you interrupt that sitting which is GOOD for you! Break up your sitting routine and move. Based on the concepts presented in the book “Sitting Kills Moving Heals” by Joan Vernikos, Dr. Peever will bring to light the perils of a sedentary lifestyle and offered easy to implement solutions for the home and office. Help you live towards a longer, more comfortable, and active life. That is what I do as a Chiropractor and what my goals for you today are. Right now movement and sitting are very hot topics media. But this topic isn’t new. With our modern lives we sit to get hear, we sit at the office, we sit at home, and sometimes we even sit to exercise. 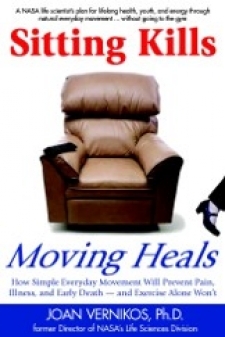 Book – Sitting Kills Moving Heals by Joan Vernikos NASA Scientist. I am going to take what I see in my office, combine it with the information from this book and what is in the media in order to get you concepts that are simple to use. Heart? What does the heart do? What tells the heart to pump? – The brain. Your brain is the most important part of your body. Your body thought so and completely enclosed your brain in bone. Step 1 – don’t hit your head. The brain coordinates and controls everything that we do and it does so through wires. The wires are called nerves. The nerves come out through the neck, they don’t come out your ears. They go to every part of the body. Even to the heart. The spine supports that and in Chiropractic we work to make sure that the spine is not interfering with the nerves and that you can stand up straight. Having a sedentary lifestyle causes rapid progression of the kinds of changes we associate with age. What kind of changes do we associate with age? Not just white hair. Arthritis, sore joints, weaker bones, osteporosis, osteopenia, muscle loss, stooped forward posture, risk of falling and breaking your hip. The heart is not as adaptable and you can’t go up stairs as easily. They see these same changes in people who are sedentary, not moving, as well as those who go up into space. They see these same things if you are stuck sitting or in someone who is experience prolonged bed rest or if you send someone to space. Why does it happen when you are sent to space? Less gravity. They don’t have to move too much. Remember we talked about the most important part of the body? 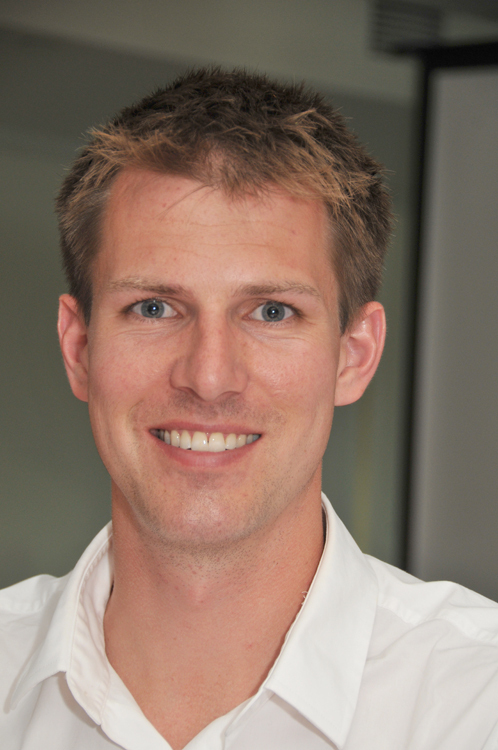 That brain is an adaptation machine. You throw something at it and it figures out how to adapt to it. You put gravity on it and it makes bigger stronger bones. You stand up most of the day and those muscles will figure out how to keep you upright. If you sit most of the day they will figure out how to keep you sitting. When you go up to space there is not much weight to push against, so you don’t need muscle. There is less gravity pulling on your bone, so you don’t need as much bone. And you are not balancing so you don’t have to practice your balance or reflexes. As soon as they come back from space they look old and elderly. Picture of Chris Hadfield and John Glen. John Glen went into space in his 70’s and he had the same physiological aging effect that you see in other astronauts when travelling in space. But above all the astronauts recover when returning to Earth. When they go up to space they lose the bone mass, the coordinate, the muscle mass, their heart gets weaker. But when they come back they are worse off, but then their body adapts to life on Earth once again. That body has an amazing ability to adapt and heal at all ages. Sitting for extended periods of time is a risk factor for poor health and premature death. Whether it be heart attacks, strokes, or cancer. Sitting or a sedentary lifestyle all day, which most of us do, even if we do get to the gym for an hour a day, the rest of the day is sitting. Sitting is Bad..okay. Now what can we do? We get people moving and help counteract the effects of sitting. Show me your worst sitting posture. One of the worst is when the head is right up to the computer screen. You will see this in your kids nowadays on their phones. Whenever your head is forward to your shoulders, you are adding more pressure on your spine and spinal cord where it comes out of your skull – which is not good for you. You do this for a short period of time and your body can adapt. If you do this for a long period of time it becomes a ride on the cruise ship to the nursing home. Show me a good posture. Everyone sits up in a military like posture immediately. If we try to sit up like this the whole time our bodies will be exhausted and can wear out just as quickly – but maybe less slouched. They can’t sit still. They are constantly moving around. But then we teach them in school to sit still and to not make any noise. We learn how to sit still. Naturally, innately, we want to move around. We need to learn from our kids and take their innate strategies over to our sitting workplaces. With sitting it is about moving. A slouched posture is bad and if you do this all day it will lead you towards a nursing home. If you slouch for a few minutes and then realize it and switch out of it to stretch back it will be much better for you. The same thing if you are always sitting up straight. You are going to exhaust your back and you won’t have fluid pumping through the numerous joints. So keep changes your postures and positions so that you can get your body to constantly adapt. Simply standing up 30 times a day can counteract the effects of sitting, even if you are exercising. I am not saying don’t exercise, but I am telling you to incorporate many standing habits into your daily routines so that you can constantly challenge your brain and body to adapt. Try out the energy shake! Stand up and shake everything you can until you smile. Then sit back down. It is very silly but as soon as you start moving it will flood your brain with movement information which the brain loves. I help people live towards a longer, more comfortable, and active life. Don’t forget to lengthen the spine and align the neck to become more upright. Balance the head atop the shoulders, ears above the shoulders. Once this position is achieved, let the sternocleidomastoid neck muscles pull up the clavicles and the sternum. The chest will rise allowing one to bring in more air, lifting the shoulders. Adding your exercises will help of course. I’m happy to see that many videos are directed toward fixing posture. It is a priceless entity. Grace and poise all!